To best answer this question, examine the skin that has the least exposure to the sun and other environmental elements. When selecting the color choice below choose the one most closely resembling the item(s) in parentheses. Examine the skin that has the most exposure to the sun, such as your face and arms. Do you tend to have a pink or red tone? Our hair color is determined by our body's melanin. As we mature our body produces less melanin which can change our UV tolerance. Please consider your natural hair color today when answering. What happens to your skin with prolonged sun exposure even if using sunscreen? 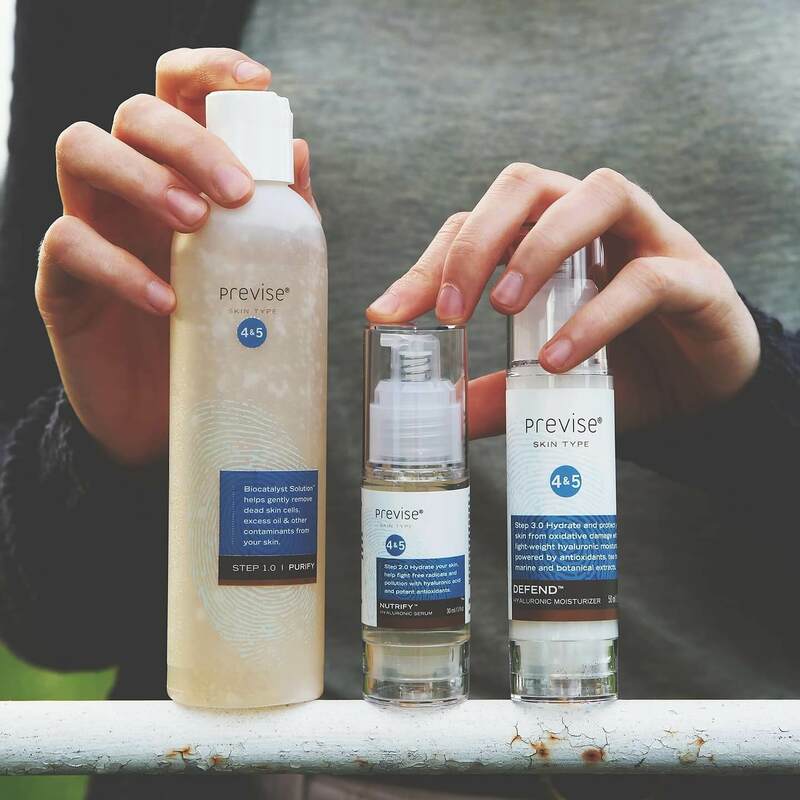 Previse is safe to use with acne, psoriasis and eczema topical and ingestible prescriptions. As we mature our skin undergoes a variety of changes, some pronounced. To aid your journey please indicate when you were born. We are delighted you took some time to complete your complimentary consultation. Your results below are based on the constellation of your responses. Following the images we invite you to save your results and enjoy 15% off your purchase. Shown is a complete regimen for patients and clients with Level 1 skin. Your Previse regimen includes three very simple, time-savings steps. Shown is a complete regimen for patients and clients with Level 2 skin. 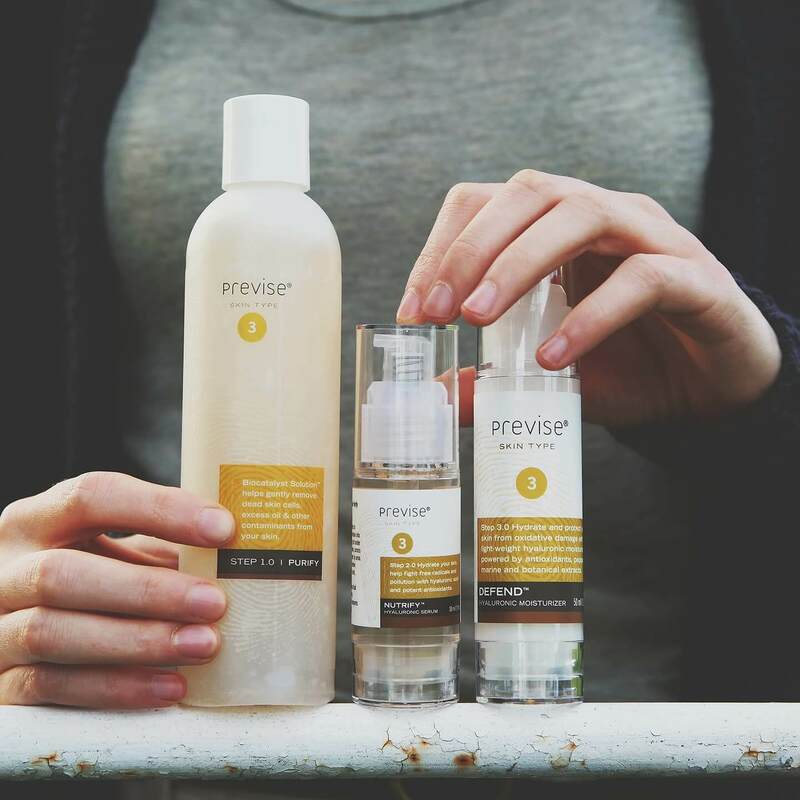 Your Previse regimen includes three very simple, time-savings steps. Shown is a complete regimen for patients and clients with Level 3 skin. Your Previse regimen includes three very simple, time-savings steps. Shown is a complete regimen for patients and clients with Previse Fitzpatrick Type Level 4. Your Previse regimen includes three very simple, time-savings steps. Shown is a complete regimen for patients and clients with Level 5 skin. 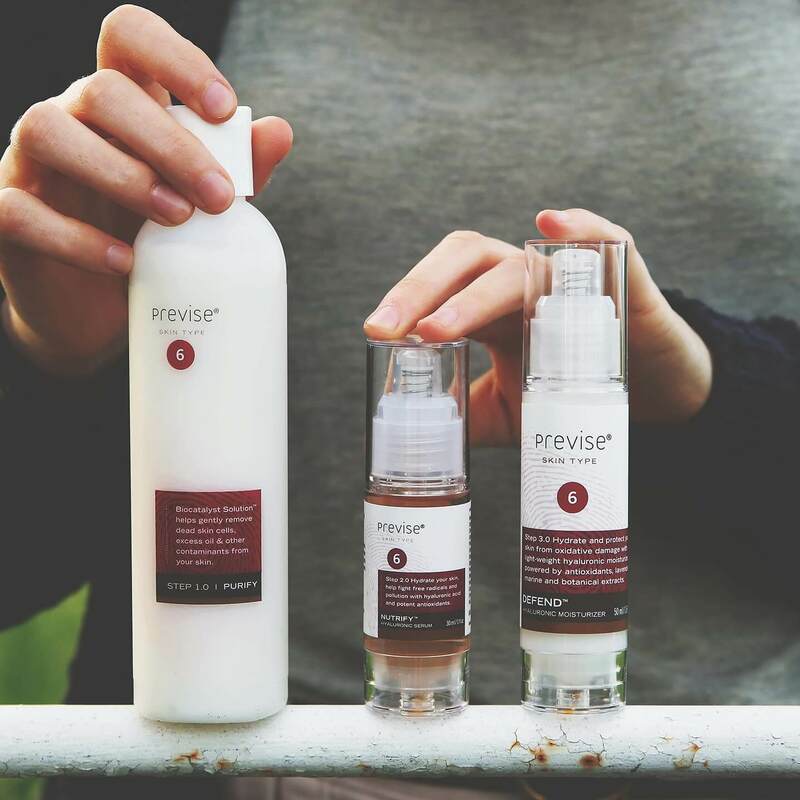 Your Previse regimen includes three very simple, time-savings steps. Shown is a complete regimen for patients and clients with Level 6 skin. 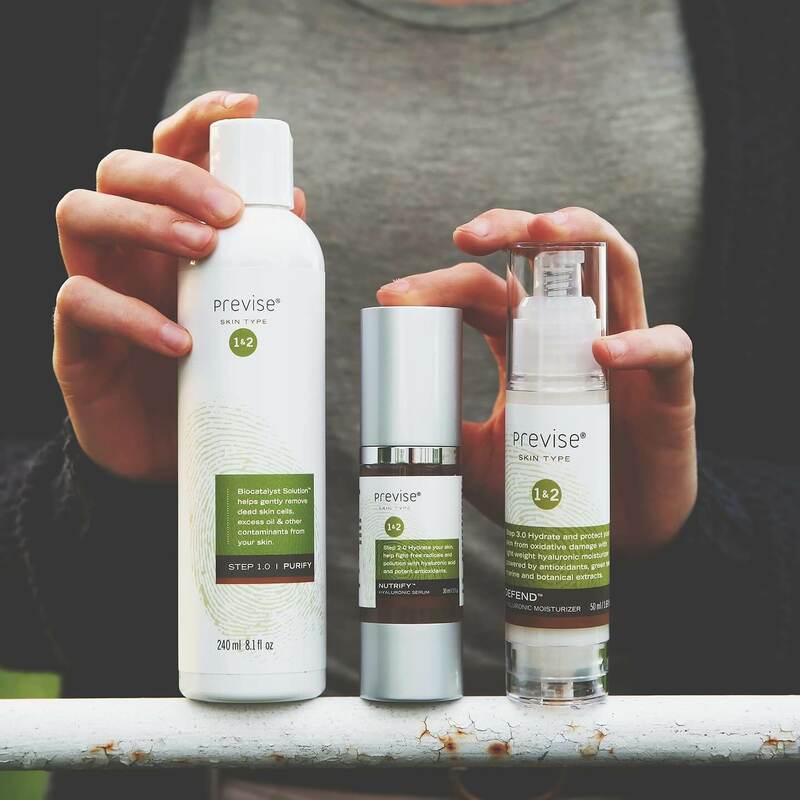 Your Previse regimen includes three very simple, time-savings steps. Enter your name and email to save your results and become a Previse client! We immediately send you a 15% savings coupon when you activate your new account. Letters and numbers only, please.